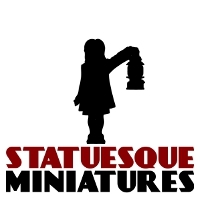 Statuesque Miniatures is pleased to announce the release of a bumper batch of figures and accessories. 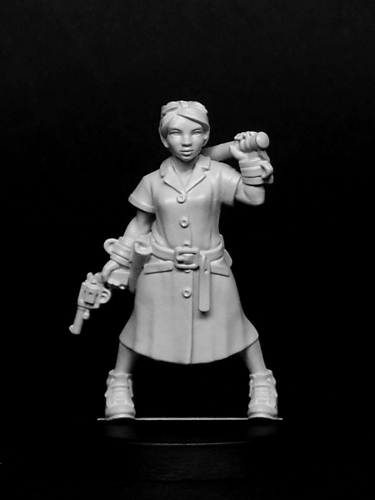 Five foot nothing of rowdy, Asylum Esme is another addition to the Statuesque Asylum range of pulp horror figures. Asylum Esme is on New Release Special Offer at £3.75, down from £4. 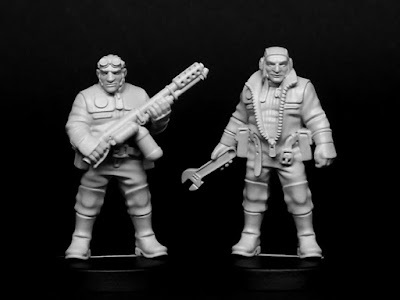 We also have the first releases from the new Statuesque Starport range; chunky, pulp-scale sci-fi figures with a retro twist. Esme – Juvenile Delinquent kicks off the range. She's escaped from the big house and is set on revenge. As a New Release Special Offer, Esme – Juvenile Delinquent is priced at £3.75, down from £4. For a limited time only, you can get both versions of Esme in the Double Trouble Esme Special Offer for only £7, saving £1 over the regular prices. Next up are Able Spaceman 1 and Able Spaceman 2. Two ne'er-do-wells on leave in the Starport, one is armed with a careening flamethrower, the other with nothing more than a large spanner and wilful intent. Able Spaceman 1 and 2 are available as a New Release Special Offer for £4.25 and £4.50 respectively. For a limited time only you can get both together in the Able Spacemen Special Offer for only £8.25, saving £1 over the regular prices. Finally, Heroic Scale Female Heads NARROW is the first release from a new range of narrower Heroic Scale heads. 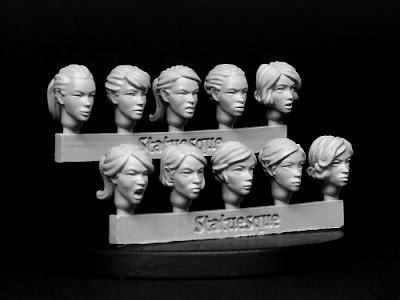 Whereas the SMA301-306 Heroic Scale range is great for converting heavily armoured space knights or troopers in fatiques and body armour, the Heroic Scale Female Heads NARROW set is designed specifically for converting heroic scale female figures, or more slight heroic scale figures in general. I've added some comparison photos to this blog and will be adding more over the next few days. Heroic Scale Female Heads NARROW is available as a New Release Special Offer for only £4.25, saving over 10%. L-R: Statuesque Heroic Scale, Games Workshop Sternguard, Heroic Scale, GW Cadian, Heroic Scale, GW Tempestus Scion, Heroic Scale NARROW, GW Sister of Silence, Heroic Scale NARROW, Heroic Scale NARROW. These offers will run until Sunday the 19th of March, or while stocks last. Lots of potential with those heads. Now all I need are some Imperial Guard. The two spaceport guys are brilliant, glad there are more coming. Had asked in previous comment, somehow missed your comment that it was a "Range" haha. Look forward to them!